Professor Kerwin studied theatre design at the Sadlers Wells School under Motley in London, England. She studied drawing and painting at the New Brooklyn School, the Arts Students’ League, and the New York Academy of Drawing, Painting and Sculpture, all in New York City. She assisted/apprenticed at various theatres in England and at the Metropolitan Opera in New York. 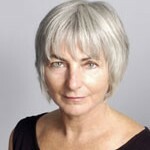 Her designs for sets and costumes have been seen across the country, including the National Arts Centre, the Stratford Festival, Soulpepper, the Citadel, Theatre New Brunswick, Neptune Theatre, Mirvish Productions, Factory Theatre, Canadian Stage Company, Pacific Opera, Blyth Festival and others across Canada and in the U.S. She has been nominated nine times for Toronto’s Dora Awards and has been the recipient of two Doras for outstanding design. She has also been nominated for the prestigious Siminovitch Award and been the recipient of a Harold Award (Toronto), Tom Patterson Award (Stratford), and four Canada Council Awards. She is a member of Associated Designers of Canada. Shawn has also designed over 250 windows for Tiffany & Co.’s flagship store in Toronto.